Aged Silver Triple Bangle Bracelet Only $4.99 Plus FREE Shipping! You are here: Home / Great Deals / Aged Silver Triple Bangle Bracelet Only $4.99 Plus FREE Shipping! Love this funky little bangle bracelet! The Aged Silver Triple Bangle Bracelet is Only $4.99 Plus FREE Shipping! 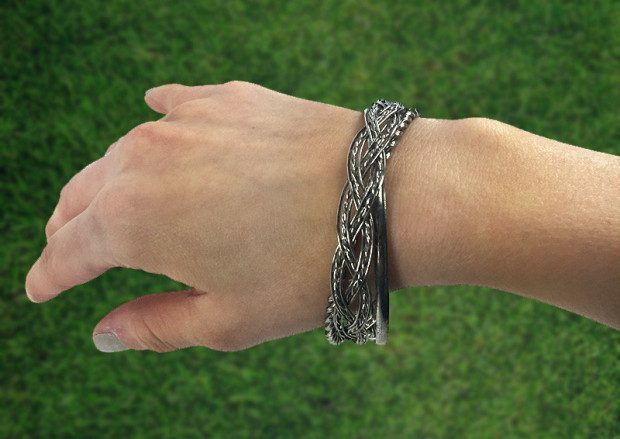 These 3 bangles are intertwined with each other and jingle lightly around your wrist! Check out other great finds at 13Deals!